This is a prize pack I won from Earthfare here in Louisville. It was a Twitter win and the dogs highly enjoyed it! 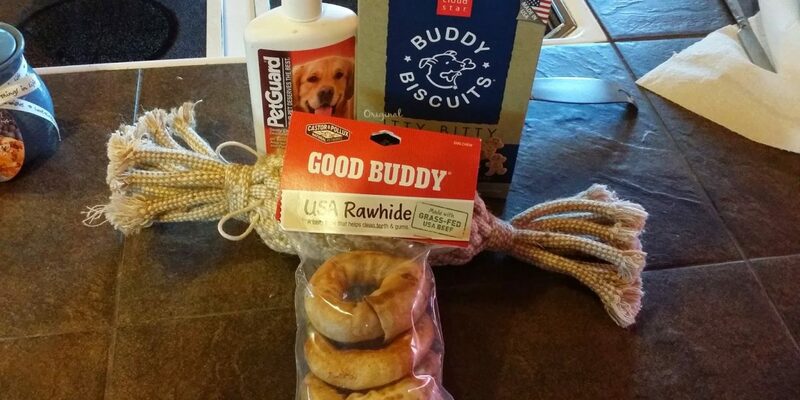 It came with a pineapple rope toy, a set of 3 rawhide donuts, a box of Buddy Biscuits and a bottle of dog shampoo. Nice for my first online win! NextEnd of summer succulents… They sure grew a lot!